LIC’s New Jeevan Anand Plan is a Whole Life Endowment Plan that offers several advantages to those who opt for it. 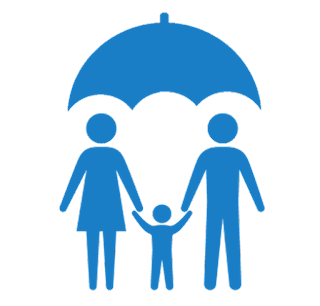 It is a participating plan which means the policyholders have a share in the profits that are incurred by the company. The motive of this policy is quite apparent from its name. This implies that the whole life endowment plan renders coverage till the policyholder passes away and this continues even after your policy matures. In short, we can say that Jeevan Anand is a mix of endowment plan and a whole life plan. This is a form of life insurance that involves payment of a set amount to the life insured on a specified date. LIC’s Jeevan Anand Plan was one of the best-selling life insurance plan but the company annulled it as they had to launch LIC New Jeevan Anand Policy which is the revised version of the same. In this blog, we will discuss its features and why it is one of the best plans to purchase. 2. It comes with Regular options to make the payments. 3. The maturity benefit is received by the policyholder if the policyholder survives through the complete policy term, and this does not terminate the plan. 4. If the policyholder passes away, the sum assured is given to the nominee selected by the policyholder at the time of taking the policy. 1) Bonuses: This policy offers two types of bonuses one is Final Additional Bonus and Accrued Simple Reversionary Bonuses. On the policyholder’s death, the assured sum is given to the nominee as the death benefit and with this, the plan terminates. Grace Period: LIC Jeevan Anand Policy offers a period of 30 days to its policyholders to clear all their dues. This period is offered to the policyholder if in case the policyholder is unable to make the payment. Consequently, keep on delaying the premiums. Now, if he or she fails to clear their dues even within this grace period, then the policy lapses. On the other hand, the policyholder is permitted to pay the dues in a term of 2 years from the date of first unpaid premium. After paying your due premiums within 2 years you can renew your dormant LIC New Jeevan Anand Plan. After completing 3 years with the policy, the insurance policy becomes acquires a surrender value. Plus, the insurance policy also renders loan advantages and due to this the policyholders can get a loan using this policy. There are numerous suicide cases that we come across in our day to day life. If the life insured commits suicide within 12 months of taking the policy, then 80% of all the premiums paid till the date of death are paid back to the person nominated by the policyholder. Another case is when the policyholder passes away after the renewing the policy. In such cases, the nominee receives even higher of the 80% premiums paid till the policyholder was alive or the surrender value acquired by the policy over these months.